Music by Ross	What do you play? How is Music By Ross Different from Other Private Music Lesson Companies? At Music By Ross, we know you’re busy! So we make taking lessons easy! Once you have decided to begin music lessons, we will match you with the right music teacher to help you achieve your unique goals. Your instructor will then drive to your home to conduct your lesson at no extra cost. No traffic and no searching for a music studio! 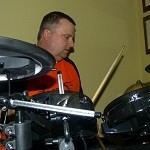 Your music teacher will be punctual, courteous, and will provide your lessons in the comfort of your own home. Taking lessons in-studio or in a music store can be inconvenient, loud and distracting – we believe your music lessons should be on your schedule and in your best learning environment! The Music By Ross team prides itself in providing safe, affordable and fun music lessons in Dallas and Fort Worth area to student of all ages! Learn from experienced certified music teachers, active performing musicians, songwriters, and recording artists. Our instructors are passionate about seeing their students excel, and are ready to help you reach your goals! Click here to take a look at the best local music teachers in Dallas/Fort Worth! Take lessons designed around your schedule, and leave the driving to us! Experience why our students learn better with our convenient in-home music lesson programs. 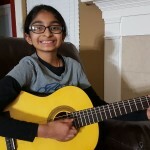 Whether you're taking guitar lessons in Plano, piano lessons in Dallas or vocal lessons in Fort Worth, we are confident we can match you with the perfect local music teacher! Click on your city to learn more.